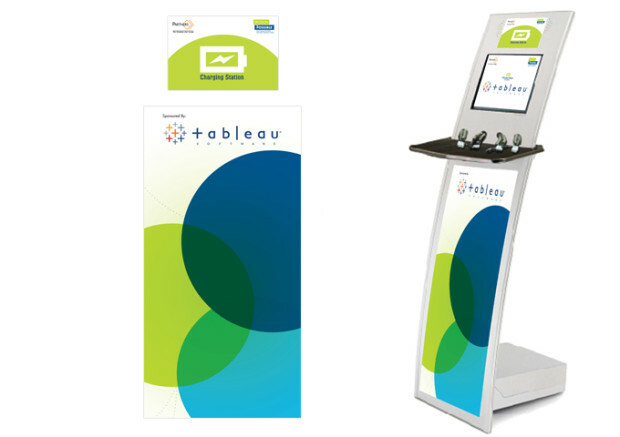 Graphics created for a charging station at a conference and expo event. The charging station was branded consistently with the event design elements and included branding from a sponsor. Five charging stations were located on-location.